2 – skein worsted weight yarn but you will want two skiens as you will be working with two strands throughout. 1 – Wrap the end of the yarn around the peg that sticks out from the side of your loom. E-Wrap the yarn clockwise around the back of the first peg, and around each of the pegs clockwise around the loom, so that there is one loop (two strands) around each peg. Do not wrap tightly, leave a bit of slack so when you pull the bottom stitch over the top it will move easily. 2 – Now push these loops down so they are at the bottom of each peg. Wrap each peg in the same manner again, clockwise as before. Now there should be two loops on each peg. 3 – Using the loom hook and starting with the first peg you wrapped, pick up the lower loop with the end of your hook and pull it over the top loop and off the peg to the back or inside of the loom, let it drop. There will now be one loop on the peg and one loop hanging a little loosely off the peg. This is your first knit stitch. Repeat this step until you have knit the entire row. Once you have reached the end, where every peg has one loop again. 4 – Now repeat row 1 – 3 again You will repeat the process of adding a second loop to each peg and removing them in the same manner. Continue this knitting until you have about 12 rows on the loom. Now continue to knit as in rows 1 – 3 and knit another 12 to 16 more rows. When hat is long enough cut yarn leaving a good 18 inches. You will use this to “string off” and to gather the top of your hat. String off: Thread your yarn needle from the yarn strand left at end of hat top. Thread this into a large eyed plastic needle and use it to pick all the loops off the pegs (there should be only one loop per peg when you do this). Poke the needle with the yarn through the stitch, pull the stitch up off the peg onto the strand of yarn. When you have all the loops off the loom and onto the strand of yarn, pull the yarn tightly and catch a small knot. You will now see your hat is complete, you can add a pom pom to give it a nice finished look or leave it plain. Secure the top by tying a knot and weaving the yarn end in a little through the hat stitches cut remaining yarn strand. Weave in the beginning yarn into the brim and cut the excess. There you have just knitting a loom hat. Use different size looms for different size hats. Linda Spangenburg draws on 35 years from her knitting and crochet business experience, both as a teacher and craft business owner. She is the author behind “Looney for Looms” where you will find patterns for loom knitting. We hope you found the information here inspiring enough to try a craft home-based business? You can find more free information about knitting and crochet for profit at http://www.knitting-n-crochet.com. This post was written by a guest contributor for Knitting Women. 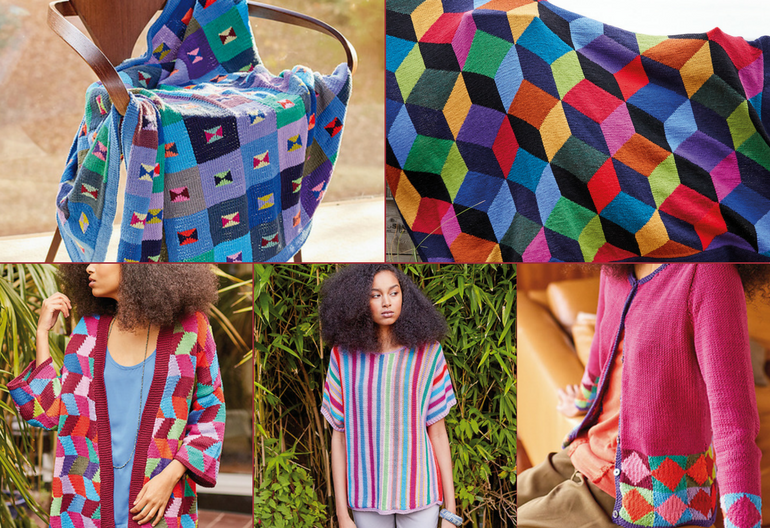 Do you love to knit, and would like to share your tips and patterns on Knitting Women? If so, we'd love to hear from you! Get in touch with us easily by clicking here. That’s cleared my thoughts. Thanks for cobrtinuting.